Michelin's return to Formula One as a tyre supplier is partly dependent on competition from rival companies, according to a spokesman. Bridgestone's F1 contract will run out at the end of the season, leaving the category without a confirmed tyre provider for 2011. 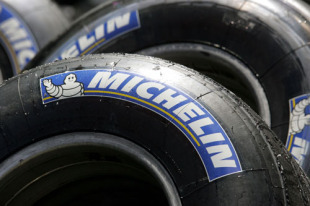 Michelin has admitted it is keen to return but a deal appears to be rest on a number of conditions. Reports suggest the French company wants to be paid by the teams for its tyre supply and it has now confirmed competition is another of its provisos. "We are interested in it but it must be right, who know what will happen," a Michelin spokesperson told Racing Engineering. "Certain things have to be done, we must have competition, and we do not want to be the only supplier." The spokesperson also confirmed Michelin wants F1 tyres to be more relevant to its road-going products and those used in sports car racing. This is likely to take the form of low-profile tyres mounted on 18-inch wheels. 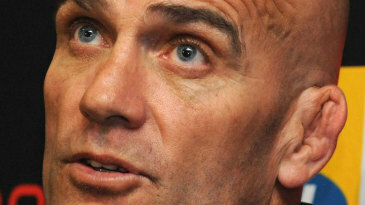 "Also we need to be able to use the opportunity of competition to improve our tyre technology. For example our new Pilot 3 road tyres had technology developed for Le Mans in them. We need this from Formula One. Finally it must have the possibility to improve the greenness, perhaps we would like something like the Green X Challenge in F1 something to help ecology." Michelin was last in F1 from 2001 to 2006 during a period of fierce competition with Bridgestone. Korean marques Kumho or Hankook have also been linked to F1 in 2011.